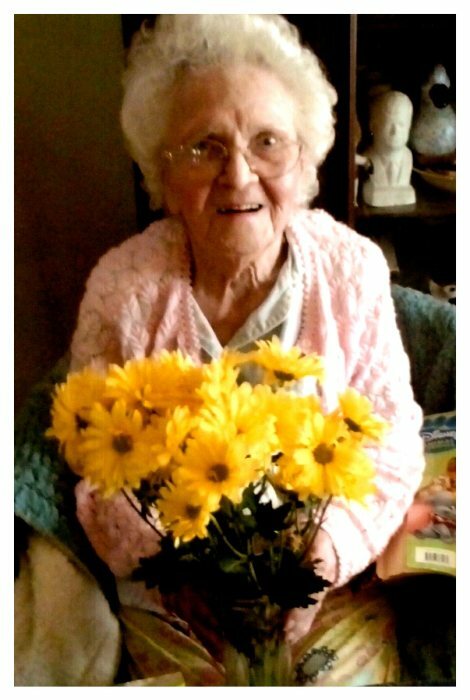 Mrs. Sarah Marie Amos Aaron, age 94, of Ringgold, VA died on February 6, 2019 at SOVAH Health in Danville. Mrs. Aaron was born on June 1, 1924, in Callands, VA, to the late Harry Amos and Annie Grant Amos. She lived most of her life in Callands and Ringgold. Mrs. Aaron was employed with Dan River Mills Inc. and later at Harnsberger’s Department Store as a sales lady. She was also a member of Pleasant View Baptist Church and Rebecca Lodge. Mrs. Aaron is survived by her daughter-in-law, Mary Aaron and one step granddaughter, Ann Brumfield. In addition to her parents Mrs. Aaron was predeceased by her beloved husband, Edgar Aaron, Jr.; two sons, Herman Aaron and Clay Aaron; one brother, Roy Amos; two sisters, Edith Wallon and Dorothy Donovant. Graveside services will be conducted Monday, February 11, 2019 at 11:00 AM in Danville Memorial Gardens with Reverend Duane Blevins officiating. Visitation will be held on Sunday evening from 6:00 until 8:00 PM at Swicegood Funeral Home . Swicegood Funeral Service is respectfully serving the Aaron family.